Seattle, a major port and marine-industry hub, is a perfect place to learn boatbuilding. The two-year program provides you the skills to start a career in wood and FRP boatbuilding, boat repair, or related trades. You'll learn lofting and layout, fiberglass lay-up and repair, wood boat construction and repair, and interior and exterior joinery. 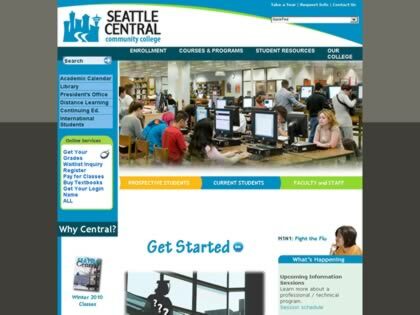 Web Site Snapshot: If available, above is a snapshot of the Seattle Central Community College web site at http://www.seattlecentral.org/ as it appeared when this site was added to the directory or last verified. Please Note that Boat Design Net has no involvement with the above web site; all content and images depicted in the above thumbnail are the property and copyright of Seattle Central Community College unless otherwise noted on that site. Description: Seattle, a major port and marine-industry hub, is a perfect place to learn boatbuilding. The two-year program provides you the skills to start a career in wood and FRP boatbuilding, boat repair, or related trades. You'll learn lofting and layout, fiberglass lay-up and repair, wood boat construction and repair, and interior and exterior joinery.